Why do you think they chose not to include the 1 and 2 cent coin in this release? They put them in for the 2006 40th anniversary. I thought that this might have been a monty..
(25-11-2015, 08:12 PM)Cougar Wrote: Why do you think they chose not to include the 1 and 2 cent coin in this release? They put them in for the 2006 40th anniversary. I thought that this might have been a monty..
What would they have put on them? They've already got all the designs, including the Crown. I'm not sure... How about a sovereign and half sovereign for giggles? (26-11-2015, 02:42 PM)Cougar Wrote: I'm not sure... How about a sovereign and half sovereign for giggles? Has anyone heard if RAM is going to issue a Proof set of the "In come the Dollars, In come the Cents" set of coins ? do you think that the unc set is actually GEM unc? 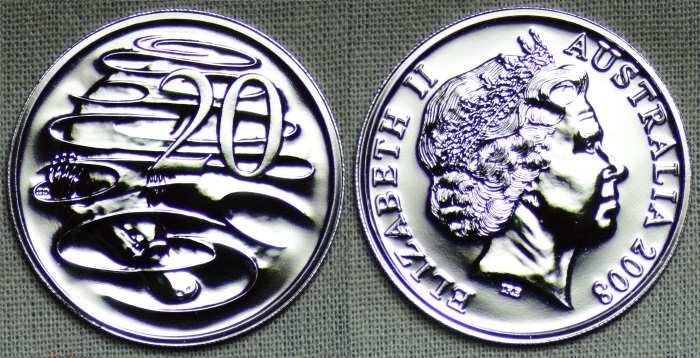 They do look gem unc like older wedding set coins. One could start the specimen argument again! (08-02-2016, 01:52 PM)purplepennyhunter Wrote: They do look gem unc like older wedding set coins. One could start the specimen argument again! I am getting a little excited as I have ordered a couple of these sets and haven't actually seen one yet. (08-02-2016, 08:00 AM)robbiegal Wrote: do you think that the unc set is actually GEM unc? They are pretty "Bling" but they don't have the polished and smooth fields of the Wedding set coins. This is the coin from the "in come the dollars/cents set"
Notice that the fields are a bit "Grainy" and the strike is not super defined. 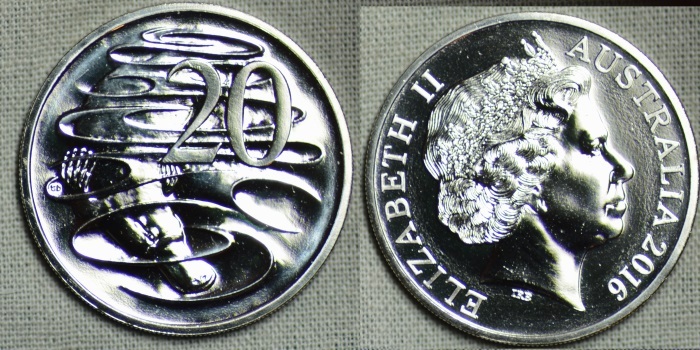 Now look at this 2008 Wedding set coin. Notice the polished and smooth fields also the astonishingly well defined strike.